Topping the list in 2017 was a priority bill for CWA, Assembly Bill (AB) 1671, from Assembly Member Anna Caballero (D-Salinas). Signed into law by Governor Brown on October 6, 2017, and co-sponsored by CWA, the Association of California Water Agencies, the California Municipal Utilities Association and the American Water Works Association, this important public health and safety measure will require each public water system to implement a cross-connection control program that complies with applicable regulations and standards adopted by the State Water Resources Control Board (SWRCB). To ensure testing and maintenance of backflow prevention assemblies are performed by qualified persons, local health officers may maintain programs for certification of backflow prevention assembly testers. The certification standards must be consistent with standards for backflow protection and cross-connection control adopted by the SWRCB, which must be promulgated by January 1, 2020 (the existing standards were last updated in 1988 and are woefully out of date). AB 1671 passed the Legislature on the last night of the session by a vote of 40-0 in the Senate and 74-0 in the Assembly. A competing backflow measure, AB 1529, authored by Assembly Member Tony Thurmond (D-Richmond), which would have grandfathered existing tester certifications granted by the State Department of Public Health prior to 2016 and removed the decision for selecting qualified testers from the local water utility or county health department, was placed on the inactive file during the last weekend of the session after a failed vote of 10-21 in the Senate. Governor Brown signed two bills into law related to lead in drinking water. First, Senate Bill (SB) 427, authored by Senator Connie Leyva (D-San Bernardino), became law on September 11, 2017. This bill made clarifying changes to Senator Leyva’s 2016 bill, SB 1398, which established lead service line identification and replacement requirements. SB 427 requires a community water system to provide a timeline to the SWRCB by July 1, 2020, for the replacement of known lead service lines in its distribution system. The bill also authorizes the SWRCB to enforce provisions of the California Safe Drinking Water Act related to lead in service lines of a public water system and a community water system. AB 746, by Lorena Gonzalez-Fletcher (D-San Diego), was signed by Governor Brown on October 13, 2017. The bill requires a community water system that serves a school site built before January 1, 2010, to test for lead in the potable water system of the school site on or before July 1, 2019. The bill also requires the community water system to report its findings to the school site within 10 business days after receiving the test results or within two business days if the test results indicate the school site’s lead levels exceed 15 parts per billion (ppb). If elevated lead levels are found, the bill requires a local education agency to notify parents and guardians and take immediate steps to make inoperable and shut down from use all fountains and faucets where the excess lead levels may exist. The bill, which sunsets on July 1, 2019, requires each local education agency to work with the school sites within its service area to ensure a potable source of drinking water is provided for students where faucets or fountains have been shut down. Senator Jerry Hill’s (D-San Mateo) SB 19 will change the operations of the California Public Utilities Commission (CPUC). Principally, the bill transfers four transportation-related functions from the CPUC to other agencies or jurisdictions on July 1, 2018. Among other things, SB 19 clarifies and, in some cases, codifies the responsibilities and oversight of various positions within the CPUC, including the Chief Administrative Law Judge, the Chief Internal Auditor and the Public Advisor. SB 19 also creates a new ethics officer within the Legal Division and clarifies CPUC-notification requirements for contracting of outside legal services. Finally, SB 19 forbids a utility executive from serving as a CPUC commissioner within two years of leaving the utility. Senator Bill Monning’s (D-Santa Cruz) SB 623, the Safe and Affordable Drinking Water Fund, would have established an ongoing source of funding for securing access to safe drinking water, while also ensuring the long-term sustainability of drinking water service and infrastructure. The bill would have required the SWRCB to expend monies from the fund for grants, loans, contracts or services to assist eligible applicants (entities representing households that are within 200 percent of the federal poverty line) with projects relating to the provision of safe and affordable drinking water. 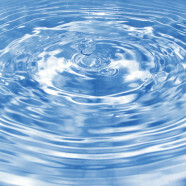 Funding for these initiatives would come from a variety of sources, but the principal source would be a surcharge on non-eligible water utility customers ranging from 95 cents a month to $10 per month depending on the size of the customer’s meter (non-metered customers would be subject to the $0.95/month fee. The Legislature adjourned without taking action on SB 623. The bill’s proponents have launched a very active social media campaign to gain support for the bill in the 2018 session.